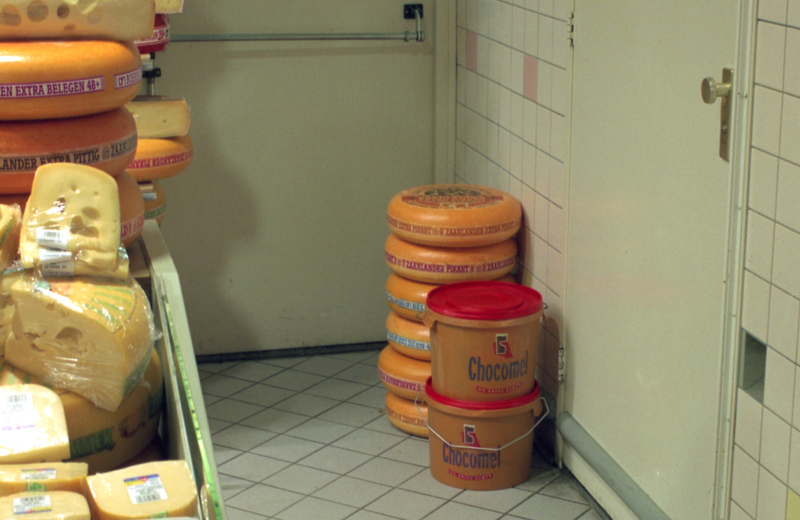 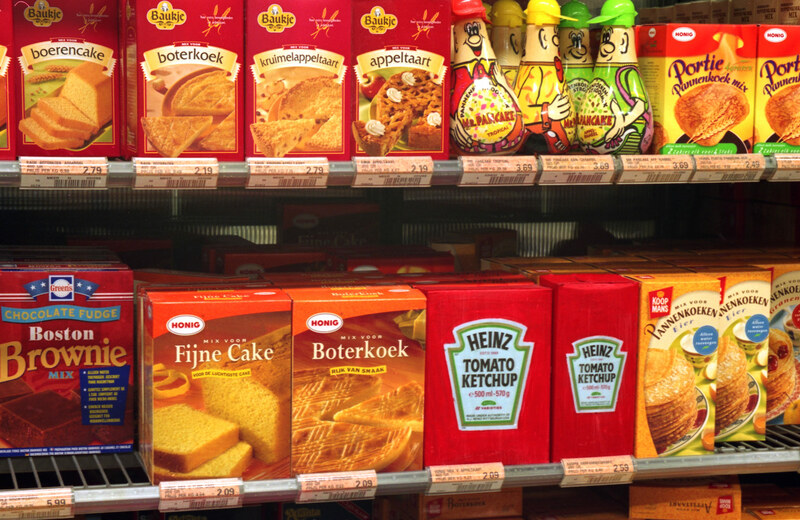 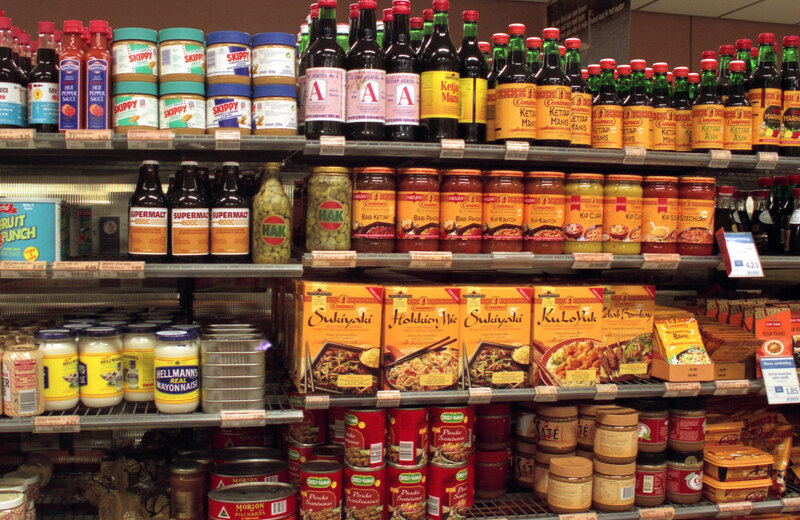 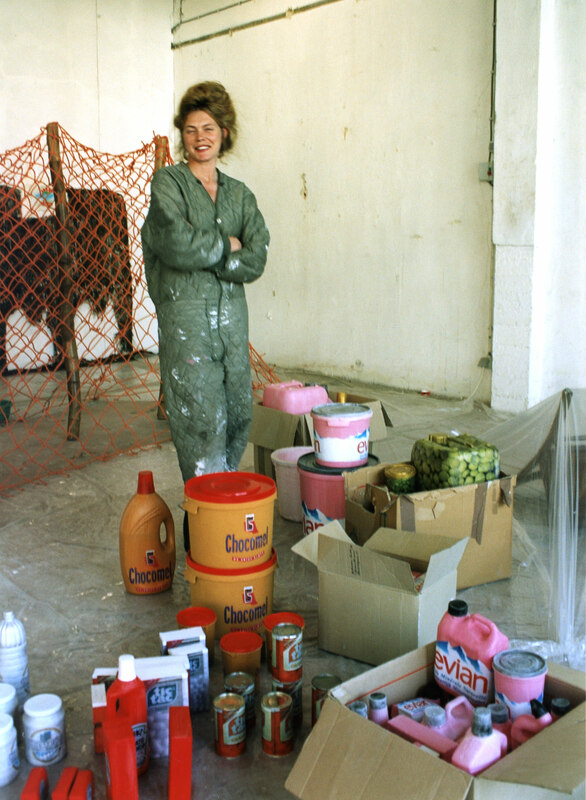 Claustropfobia, project in and supported by Albert Heijn supermarket (Het Oude Noorden – Rotterdam), during May 1999. 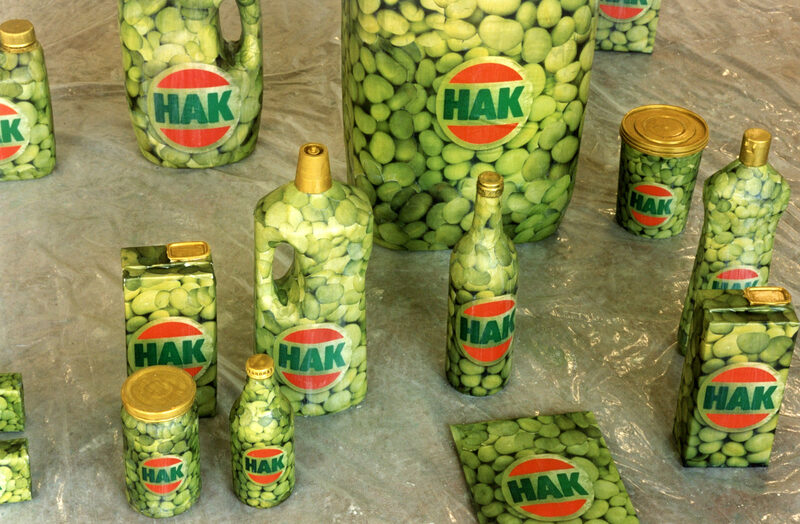 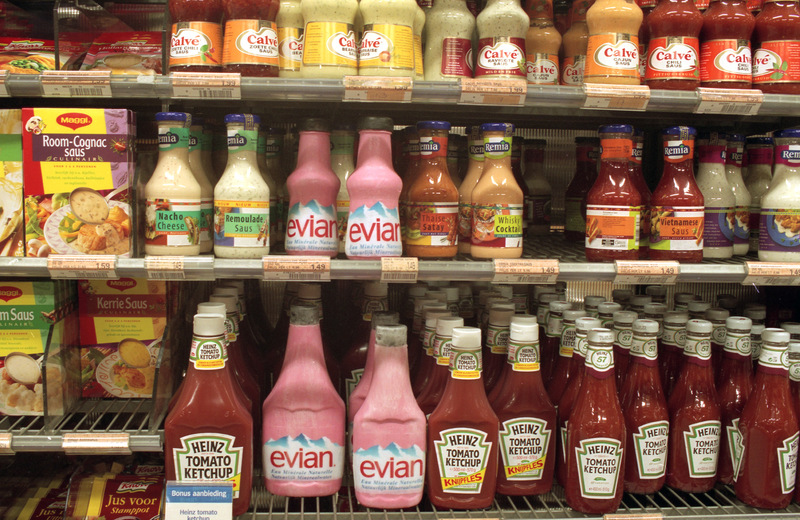 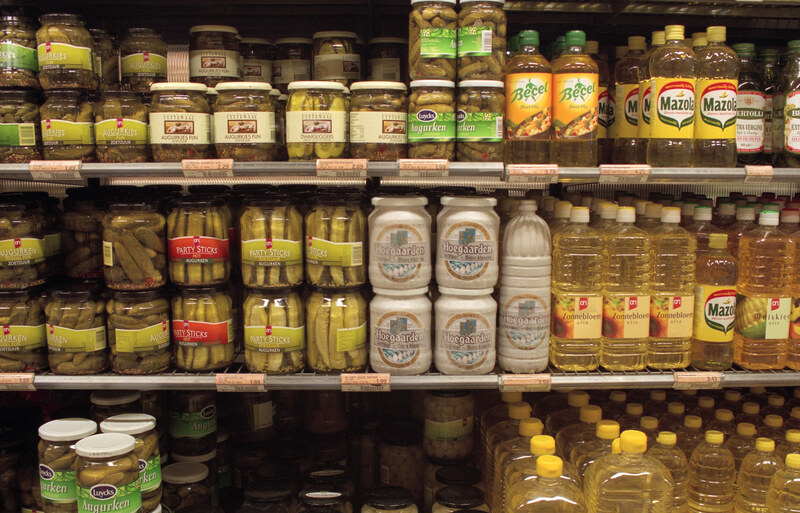 Maddy Arkesteyn manipulated many products by mixing shape and brand recognition of well-known products. 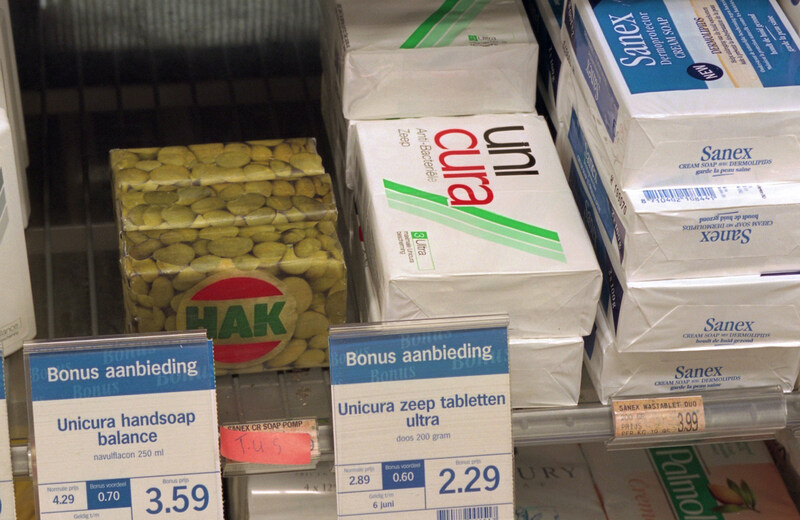 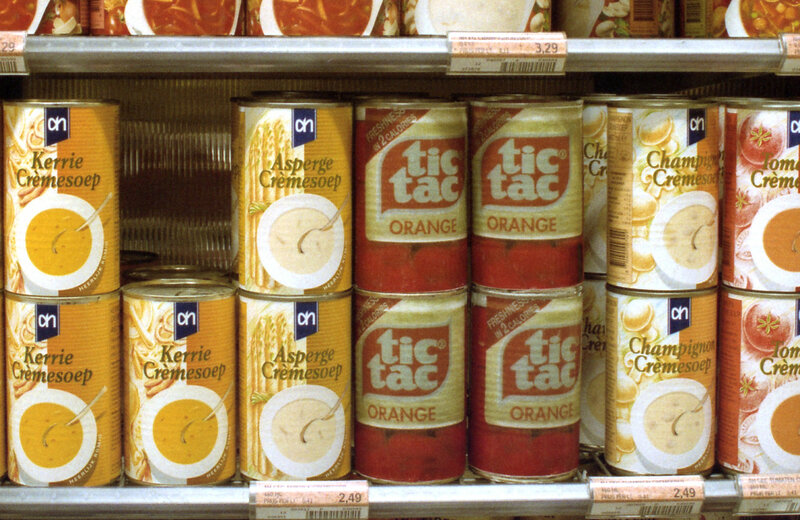 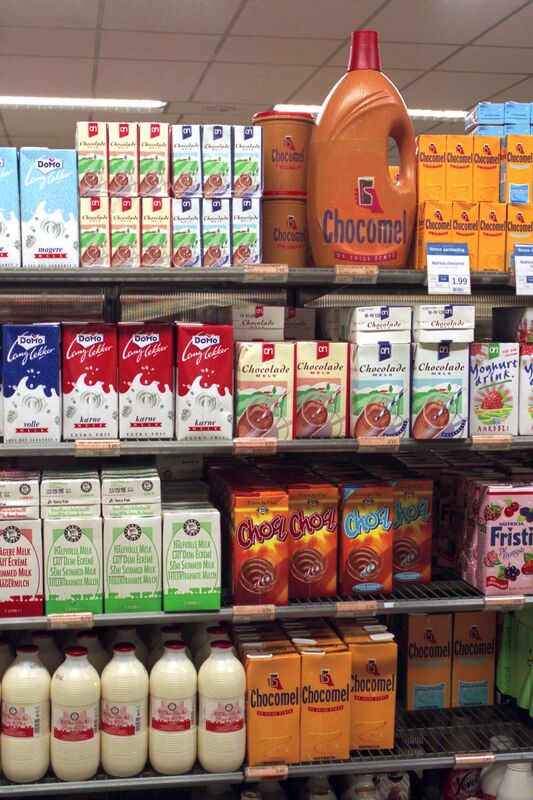 The Albert Heijn intercom transmitted a sound tape whispering a surrealistic list of products on the intercom of the supermarket.